Visit the City and County of Broomfield Website. Visit the City of Ueda Website. Ueda is in Japan's Nagano Prefecture. Most Broomfielders say "you-ay-duh"with an emphasis on the middle syllable (long a) when referring to this city. Broomfield's original sister city agreement was with the former Town of Maruko. On March 6, 2006, Maruko was officially incorporated into the larger neighboring city of Ueda. 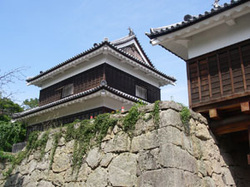 The "new" Ueda city also includes the former town of Sanada, the former village of Takeshi and the former city of Ueda, which existed for 87 years before the merger. In April, 2006, Ueda had a population of 163,256 living within 522 square kilometers.In June, 2007, Broomfield's population was about 52,660 living within 87 square kilometers, or 33.6 square miles. Maruko's only sister city was Broomfield. Ueda, however, has other sister city relationships, inheriting some of them with the merger. We believe the Broomfield relationship is the strongest of Ueda's sister city programs.